Attackers are targeting your employee’s credentials. Do you know if you’re vulnerable? Find out with this free app! 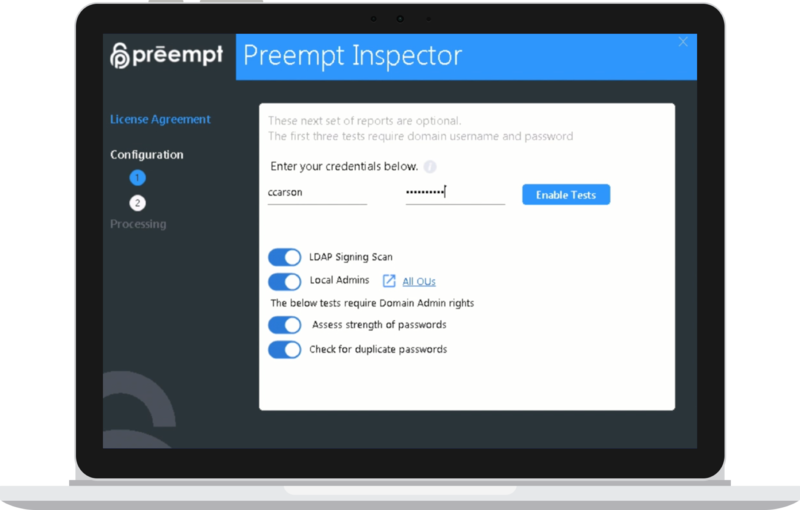 Preempt Inspector is a FREE App for Enterprise Health Assessment to Reveal Password Problems, Stealthy Admins, Domain Controller Issues, and More. Attackers know that credentials are the key into your network. Unfortunately, most networks have unknown weaknesses that make them an easy target. Employees often use weak passwords or reuse passwords that have been compromised in a previous breach. Some users may have stealthy privileges that can inadvertently expose the network, and missing protections on domain controllers can make it easy for intruders to move through your network. 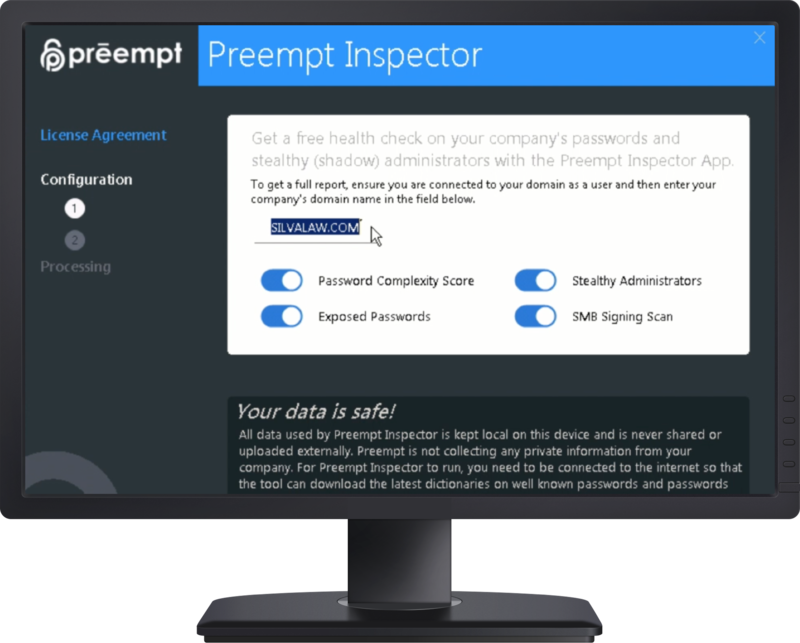 Preempt Inspector is a free, powerful application that automatically finds these problems and more so that you can find any problems before attackers do. Find out if users are using passwords involved in a breach or in password dictionaries. Automatically find “stealthy administrators” who are not part of the official Admins group. Get actionable results that reduce your company’s risk of a credential-based attack. Quickly find weak or duplicate passwords that are easily cracked by attackers. Find devices using cloned local admin passwords. Make sure breaches at other companies don’t impact your network. Check passwords, privileges, and security settings to uncover hidden risk. Run Preempt Inspector as often as you need to identify account vulnerabilities. Download now, and get up and running in minutes. Preempt Security 2018. All Rights Reserved.